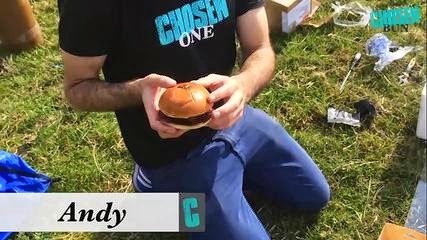 Chosen Bun is a london based burger making & delivery service who recently sent a burger delivery in space very successfully. Chosen bun have been tried this experiment already but unsuccessful. In it's recent 2nd try it successful to sent burger in space. With essential equipment required to sent burger in space chosen bun also attached a camera to record this historical achievement.